The Lord of the Rings Trilogy, Sir Edmund Hillary, Rugby, the America's Cup - all great things that have come out of New Zealand over the years. More recently, however, the country introduced something that really takes the cake: Zorbing. An outdoor adventure sport, Zorbers climb into the hollow center of a giant transparent ball (brand named ZORB®), then hurl themselves off a ledge, rolling and bouncing at speeds of more than 35 MPH down a steep hill. It's all grass, sky, and limbs - punctuated by screams. First developed in Auckland, the ZORB was designed to entertain bungy-jumping-fanatics-turned-bored (though we believe the ZORB was first developed in the early 70's and was called a hampster ball). Whichever the case, a couple of guys in New Zealand thought it would be a terrific idea to make a 12-foot plastic sphere, then put a human inside for the thrill of it. They did; it worked; business spread across the country; and a downhill revolution began. In fact, Zorbing (or globe riding) is one of the first things our locum tenens put on their list of things to do Down Under. Now, the revolution has rolled (pardon the pun) into the state of Tennessee, where it has found a fanatic following. In Pigeon Forge, riders can take a tumble down a grassy slope inside a specially designed ZORB that offers a choice of a being strapped to a seat or tumbling head-over-heels in a sphere filled with water. "It's like water-water rafting without the rocks," says CEO Craig Horrocks. 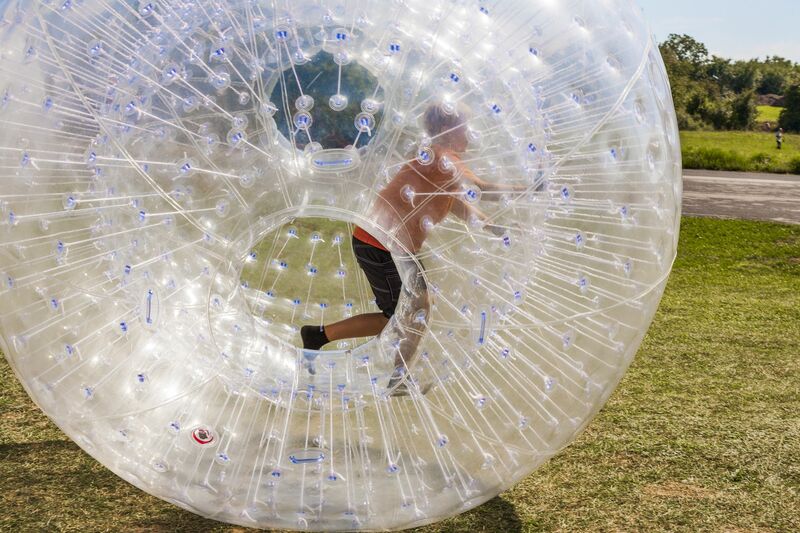 Since Tennessee has claimed the distinction of having the only official ZORB course in America, people have been pouring in from all over to take a turn at this crazy New Zealand import. And while the folks in Pigeon Forge proudly advertise their course right alongside other popular Smoky Mountain attractions like Dollywood and the Elvis Museum, ZORB zealots say nothing can compete with their hillside thrillride.